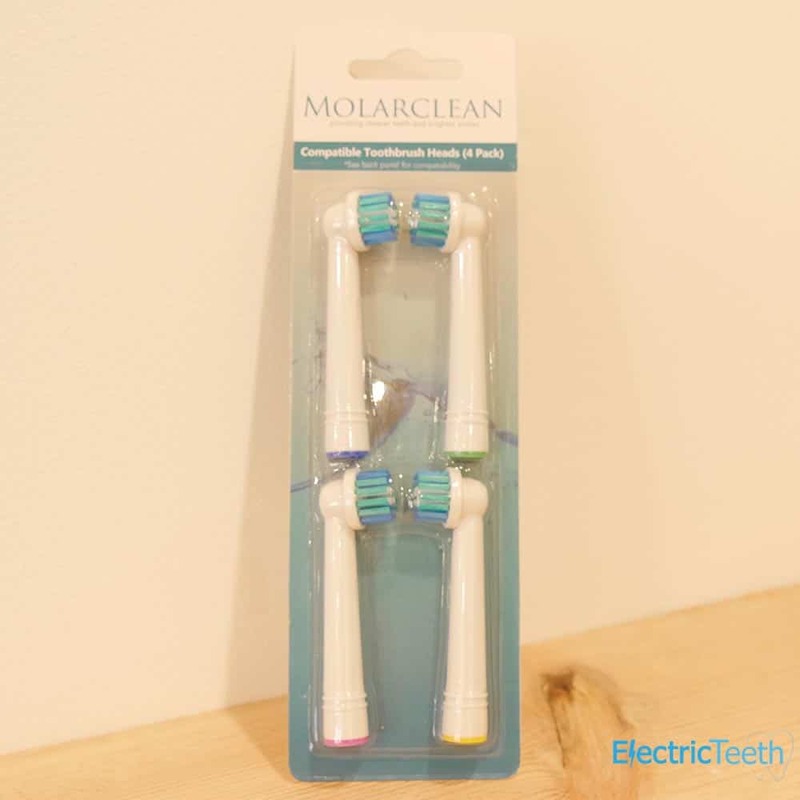 Molarclean is a brand that has made its name in creating aftermarket toothbrush heads for Oral-B electric toothbrushes. These brush heads are a third party, after-market solution and are not replicas or fakes. The difference here is that Molarclean make it quite clear that these are not originals, they are compatible with and perform as well (according to them) but at a cheaper price. 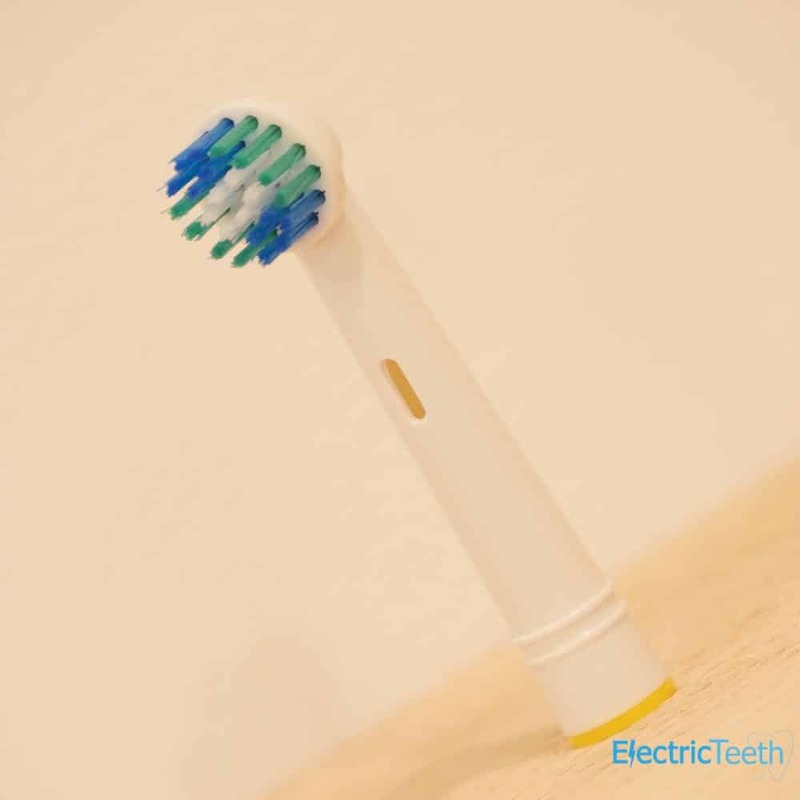 As a result of their success they have gone onto make their own battery powered electric toothbrush and also a flosser, but in this review we are taking a look at the brush heads to see how they fare and compare to the originals. Why buy aftermarket brush heads? The main selling point and appeal for aftermarket brush heads is the value for money that they offer. Essentially they are cheaper. Not being an original product, there is not the added cost that goes into producing and marketing, so they bring the savings to you and I as a buyer. Aftermarket parts are common across most types of products, from car parts, to vacuum parts to washing machine parts. What do you get with Molarclean? Molarclean brush heads typically come in packs in multiples of 4, sold via www.molarclean.com but also sold via online retailers like Amazon and you can even find them on eBay. What is the price of Molarclean? The price paid for Molarclean brush heads will depend on when and where you purchase them from. At the time of writing, if you go direct to Molarclean a pack of 4 costs £6.99 but there is a £1.50 delivery fee. Spend £15 and this fee becomes FREE. Via Amazon they are actually £0.43 per pack cheaper. Packs of 12 range from £13.90 through to £16. Therefore the individual price of a brush head varies from around £0.86 per head through to £2.25. As mentioned, one of the selling points of the Molarclean brush heads is the price. So how do they compare to Oral-B originals? At the time of writing (prices are always subject to change) a pack of 4 x Oral-B Cross Action replacement brush heads costs anywhere from £11.99 on a well known online retailers website. This makes the price of each head £3. Compared to Molarclean’s pack of 4 that is essentially a £1 per head more expensive or £4 per pack. Oral-B do not do a pack of 12 like Molarclean, their largest pack is 8 heads. This costs £18 per pack, but split that by 8 and the cost comes down to just £2.25 per head. That is a saving of 75p per brush head compared to the 4 pack. This price is then much closer to the Molarclean pack of 4, but there are additional cost savings that are available with a pack of 12 from Molarclean, that can bring the price down to just £0.86 per head. This therefore makes these £1.39 per head more expensive. Not a truly fair comparison but over 12 heads there is over £16 of savings to be had. It is fair to say these are prices that in many respects can’t be ignored. 12 brush heads is 3 years supply for a normal individual user and most would not buy so many at once, but with such a saving, it could be worth it. Take a typical family of 4, over 3 years that is a saving of over £66! Price does not paint the whole picture though. How do Molarclean compare to the originals? There is just one design of brush head. Unlike Oral-B who offer 6 different styles of brush head, Molarclean is just one. Similar to the precision style brush head they have a round design with different coloured bristles that should remove more plaque than a manual brush.In many respects this makes your choice nice and simple, not lots of options. However, this does mean if you are looking for a specific type of brush head like a Sensitive (view on Amazon), or Ortho Brush Head (view on Amazon), you do not have such options from Molarclean. Manufacturer originals are produced to a certain standard, help keep products within warranty and give you more often than not peace of mind. Third party or aftermarket products can often be produced to the same if not better standards, but as a third party, the profit margins desired are often less and this means the overall price is better and more appealing. Some aftermarket products are not quite as good quality and this is reflected in the price and reliability of the product, but this gives you and I the choice as consumers. If you have ever read about fake or counterfeit Oral-b brush heads, then these actually exhibit some of the signs that would lead to these being considered fake. The big difference here is that they are not fake, they are just an alternative option to the originals. Original Oral-B brush heads have an interchangeable colored ring at the bottom of the brush head. The idea is that the coloured ring is used to help identify whose brush head is whose. This is particularly useful in a family environment where a brush handle is shared amongst users. With the Molarclean heads, the coloured ring is firmly fixed into the brush head and is actually part of the overall structure with the coloured plastic flowing up into the shaft of the head. Inside the head on an original is a metal spring/piece that assists in the movement of the brush head, this is plastic with the Molarclean. The bristle formation is also not as tight. Whilst you have to look closely the quality and form is not as good as the originals. However after testing for several months, the bristles did not splay or split anywhere near as much as I expected. In fact the head after 3 months use looks almost as good as new. We have no scientific evidence to confirm this but we believe there will have been more science and research gone into the Oral-B original heads to achieve the best clean. We see no evidence to suggest this for Molarclean. A great example of this is the CrossAction head (view on Amazon) from Oral-B that is designed with angled bristles and tips to really sweep away as much as possible, there is not quite such attention here with Molarclean. It is fair to suggest that Molarclean’s claim of more plaque removal than a manual brush is fair given the increased movements that are generated from an electric brush compared to a manual. Having tested these brush heads with multiple Oral-B handles we have found them to be a good fit. There are reports that they do not fit as well as the originals, in fact of the limited number of complaints, too tight a fit seemed to be the most common. Our heads, seemed to actually be a little tighter fit than the originals, perhaps tieing in somewhat with these claims. However, they did fit just fine on all brush handles test. Just a little more snug than normal; production tolerances are likely not as tight as with Oral-B. A downside for me was the lack of fading bristles. On the original Oral-B heads, the Blue bristles will over time fade to an almost white colour. This shows the wear of the brush head and acts as a reminder to change the head when the white colour is achieved. There are no fading/indicator bristles on the Molarclean heads, so you need to remember when you last replaced it, rather than the head telling you. This is of course subjective. We are not dentists and have not conducted a detailed study into the clean. From our testing we have no evidence to suggest they clean worse, in fact my teeth have felt clean every time I have used them, but psychologically the original heads feel like they clean better; although I did quickly get over this feeling. The overall clean given by the Molarclean brush heads felt a little stiffer and a little harsher. My gums are fairly resilient and not all that sensitive so to notice the extra stiffness means something but again after a few days of getting used to is, it was no longer an issue. After a month, to some respect I could have been using an original without knowing. Had I been brushing my teeth with a blindfold, I could not have easily told you which was which between the original and the Molarclean. Yes as far as our testing shows. There was nothing that would indicate to us that these brush heads are inherently unsafe. Being a movable part constructed from plastic they are susceptible to damage and or failure but we have seen no evidence of this and we have not really found any reports that would suggest Molarclean heads have broken when in use. What we found to be a slightly harsher clean when in use could, long term do some damage to the teeth, but more likely the gums. If concerned, consult your dentist. If you have weak or receding gums going for Oral-B originals would be the recommendation. With the potential savings on offer it is almost impossible not to consider these as an alternative to the original. There is nothing at this time that really stops us recommending these brush heads. We do believe (although we have little evidence) that the Oral-B heads are scientifically better at cleaning your teeth and may long term be less abrasive on your gumline. If you really wish to save money then go for these. If you can afford to buy the originals, this would still be our recommendation; but there is a lot of money to be saved with Molarclean. You can buy Molarclean brush heads from Amazon and eBay. Do you use or have you used Molarclean brush heads? How do you or have you found them? Was your motivation to save money? I think these heads give a less vigorous clean. I guess this might be due to the gearing inside the head. Thanks for your opinion Paul, always good to hear what others think and feel having used them.